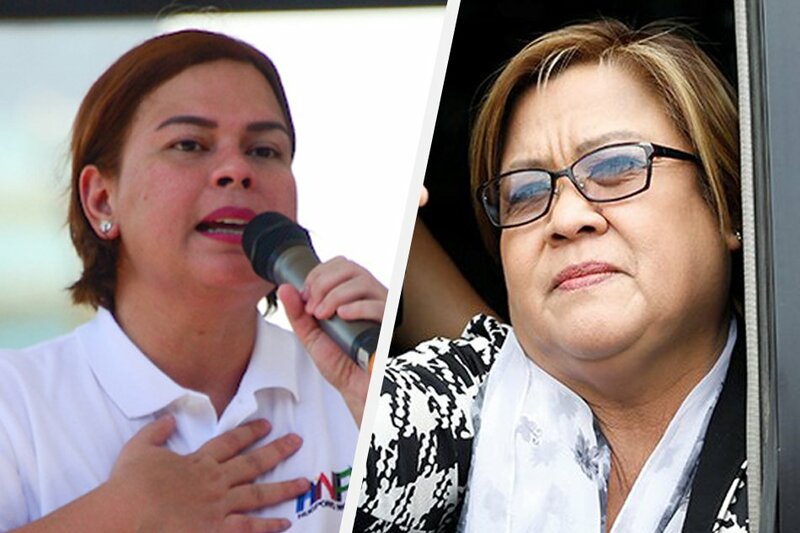 MANILA -- Presidential daughter and Davao City Mayor Sara Z. Duterte urged detained Senator Leila de Lima to draft a law on honesty to "save the government from all the de Limas of the world". In a statement Monday, Mayor Sara said she thought of writing a letter to de Lima thinking that the solon might not have access to television in prison. "You are a senator -- honesty about your involvement in the illegal drugs business is under scrutiny by the courts -- how about make a law adding honesty as a requirement for all Filipinos before they can run for office," she said. "Maybe then you can save the government from yourself, Inday Sara, Leni, Digong, Panelo, Alejano, and all the de Limas of the universe," the mayor's statement added. Mayor Sara, who leads the campaign for Hugpong ng Pagbabago senatorial slate, clarified her earlier pronouncement taken out of context by the lawmaker. "Sabi ko, hindi ang opposition dapat ang magsasabi kung ano dapat ang isang kandidato at hindi isyu ang honesty dahil hindi yan requirement (I said, opposition candidates are the not the ones to tell who should run for office. Honesty is also not the issue, it's not a requirement)," she said. "Black hole candidates who are themselves liars should not attack a candidate in that manner (honesty)," she added. On March 24, de Lima published her own statement attacking both the Hugpong leader and Presidential spokesperson Salvador Panelo. "Panelo and Sara represent what is wrong and how things could be worse for our government," she said. In late 2016, the House of Representatives heard more than 30 witnesses who linked de Lima to the illegal drug trade in the New Bilibid Prison (NBP) when she still headed the justice department.